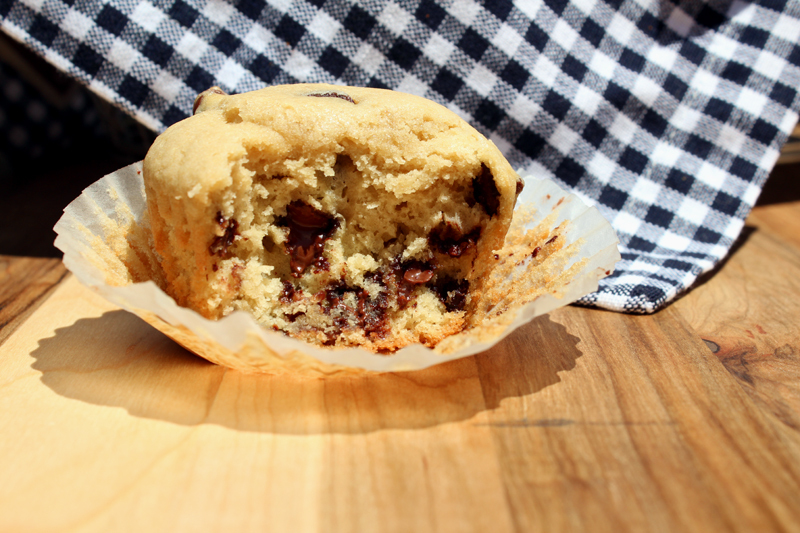 Happiness Project Recipe #13: The BEST Chocolate Chip Muffin! Preheat your oven to 350F. Butter 12 muffin cups or line 12 cupcake tins with paper liners. In a medium sized bowl (you can easily do this with a hand-held mixer), beat together the butter, buttermilk, egg & vanilla until just smooth (for about 1 minute.) If your batter is visibly very clumpy, it was over beaten & you will need to start over with a new batch. In another bowl, stir together the flour, sugar, baking powder, baking soda, salt and optional cinnamon (if using). With your hands, make a shallow well in the center of the flour mixture, add in the buttermilk mixture, and beat until smooth and well mixed, 1-2 minutes. Using a large silicone spatula, gently fold in the chocolate chips until evenly distributed. Do not over mix, or the batter will fall flat (& won’t rise correctly when baking). The desired batter should be relatively thick (similar to that of cookie dough) & very sticky. Spoon the batter into each muffin cup or cupcake tin, filling it nearly level with the rim. 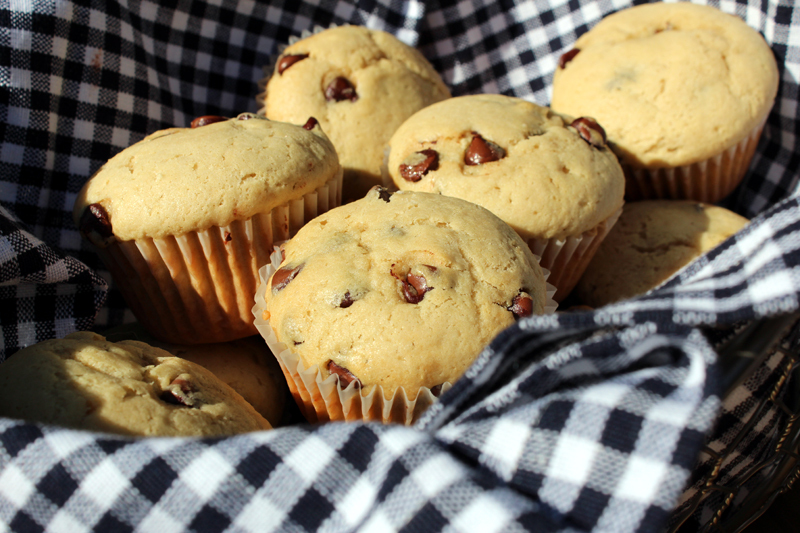 Bake your muffins for 20-24 minutes for standard size muffins or 18-20 minutes for standard size cupcakes. They should be lightly golden & springy to the touch when removed. Let cool for 5-10 minutes before serving. After bringing home the left-overs last night from a friends 4th of July party, I discovered a catch. I didn’t & still don’t want to share any of them. That’s how much I adore this recipe. You will too! « Happiness Project Recipe #12: Chocolate PB Pretzel Niblets!